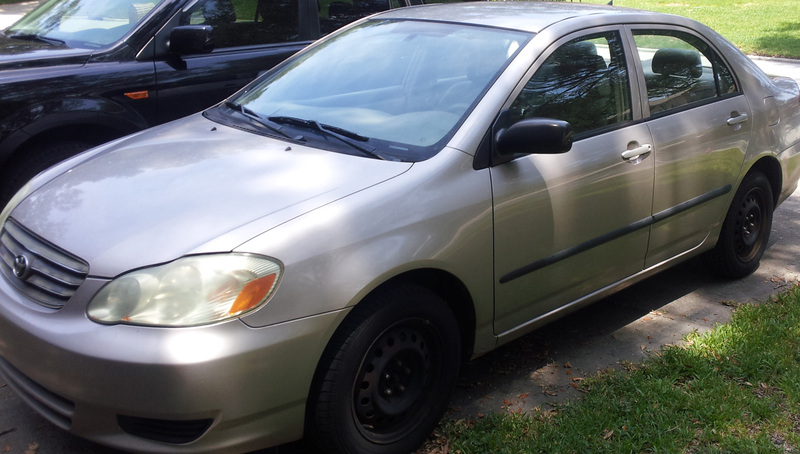 I bought the ‘Rolla on June 22, 2002. There’s a reason I remember the date, which will not be shared here. On that day, I test drove the car, loved it even though “champagne” wasn’t quite my ideal color, and bought it. I gave the car a real name, which will also not be shared here, because it’s linked to the reason I remember the date. The finance manager neglected to collect the down payment, and since he’d been a jerk to me, my cosigner, the salesman, and his own wife via telephone, I made him drive all the way out to my house to pick up the check two days later. I paid off the car as quickly as possible without incurring the early payment penalty, and owned it free and clear just nine months after purchase. This past Sunday, after 10 years and 16 days, and after traveling 166,175 miles winding through 21 states, I traded in the ‘Rolla for a new car. The sordid tale of buying that new car shall appear in this space tomorrow. …and that carried me on countless adventures throughout Dixie, and on grueling treks through snow-covered Chicagoland streets riddled with cavernous potholes, and through a spectacular and terrifying mountain tempest en route to the radioactive parts of New Mexico. Here’s to the first car I paid more than a dollar for. It was a good car. ← Fourth of July, 2012.